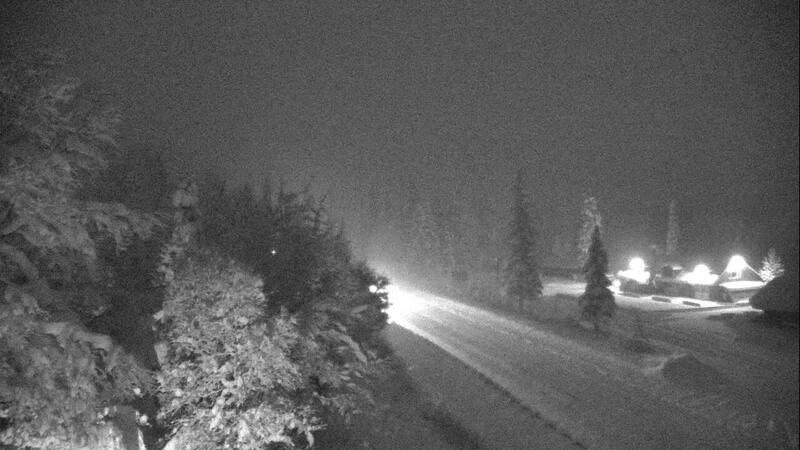 Alaska DOT webcam image near Summit Lake Lodge at mile 45 of the Seward Highway at 5 p.m. December 19th. The state Department of Transportation and Public Facilities issued numerous notifications Wednesday alerting drivers of the blizzard-like conditions between the Hope turnoff and Ingraham Creek. Kenai resident Jamie Nelson is a frequent traveler between Kenai and Anchorage and safely made the trip Wednesday afternoon. More snow is expected through the region, especially north of Cooper Landing, with up to six more inches anticipated in the Whittier and Portage areas. Commuters on the east portion of Kalifornsky Beach Road may have already noticed, but all drivers should be aware that the temporary traffic signals that are being installed are not the standard type that can detect stopped and waiting cars. According to the Alaska DOT project "Navigator" website, these lights are on a timer, not detection, so the usual signal patterns drivers may be accustomed to have changed. An area better known for rock falls and avalanches was shut down for over five hours Monday morning due to a large landslide. The rock, soil and vegetation closed lanes in both directions of the Seward Highway at Milepost 105, just west of Indian. Shannon McCarthy, Department of Transportation Central Region spokeswoman, says the highway was reopened at about noon. “I see a lot of rockslides along that section of highway, but we don’t typically see a lot of areas which are treed that slide,” she said.